While each passing year leaves us less convinced than ever that Capcom can rediscover the glory days of its Resident Evil franchise, which arguably culminated with Resident Evil 4, 3DS title Resident Evil Revelations was a pleasing step in the right direction. It also remains one of the best-looking games on the portable, while a HD remake also came to Wii U and other systems. 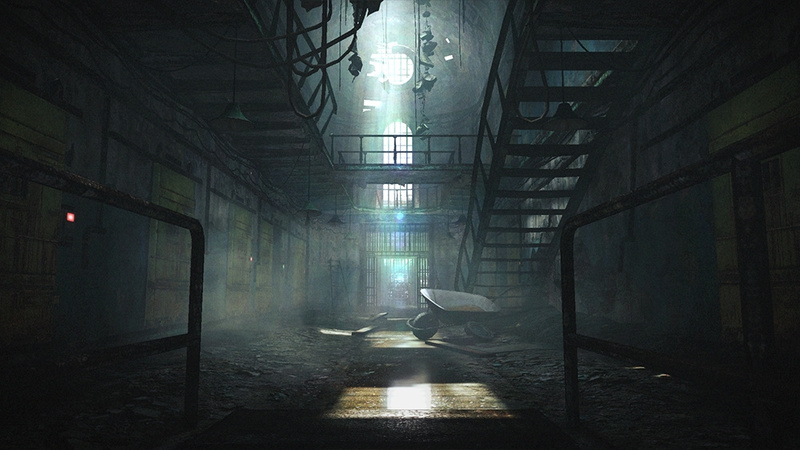 Although it has its share of action set-pieces, it's also a relatively rare instance of a Resident Evil game returning to its survival horror roots in sizeable sections, aiming for scares and a foreboding atmosphere, perhaps unlike its bigger budget contemporaries. Good news is possibly on the way, then, as assets have been spotted for Resident Evil Revelations 2, which would certainly make some sense in the context of the first game's ending. The downside? The assets have been spotted on an official Xbox site, with the image above being an alleged screenshot and a small image for Xbox 360 boxart also doing the rounds. If we're to be optimists, however, the presence of 360 box art suggests that the sequel could utilise the same engine — and probably many assets — as the original, so a Wii U port could certainly be possible. Whether Capcom would give the sequel a spin on 3DS is debatable but, by that same logic of re-using the same engine, also possible. We'd like to think that with 3DS and Wii U versions of the first game in the wild that Capcom would include Nintendo hardware for this sequel. Time will tell, assuming that these Xbox website assets are legitimate, of course. 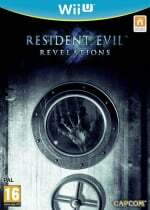 Would you like another Resident Evil Revelations game? Would you prefer to play it on Wii U or 3DS? Let us know in the comments below. on the xbox site, did MS buy a timed exclusive for a multiplatform series again? this game would be most welcome on the wii u. if it's even being made of course. No Wii U and 3DS version coming. A russian retailer leaked this back in May along with DmC Ultimate for Xbone and PS4. This is coming to PS360, Xbone and PS4. @MrV4ltor Lame. Really enjoyed Revelations on 3DS. Fitted perfectly on the little handheld. Ah well. Capcom gotta make money I guess. These last two years destroyed all my optimism when it comes to Wii U and 3rd parties so I'm 95% certain this if it happens will not come to the Wii U, they should make a 3DS version though as there are clearly a nice amount of fans on the platform. @MrV4ltor I'm afraid I don't make final conclusions based on online retailers, so we'll see! As long as it doesn't end up exclusive to the Xbone I'm happy. It's the only console I don't have and I don't plan on getting one. I would prefer it on the Wii U though just so I can use the Gamepad. I LOVED Revelations! It was my favorite RE game since the 2nd one. It reminded me what used to be so good about these games. If they skip over the Wii U or the 3DS with this title, I am going to be so freaking pissed! Xbone timed exclusive I would think. Would love RE:R2 on the WiiU and a spin off for the 3DS though. Revelations was one of the best RE games I have played since RE4. And was absolutely stunning on the 3DS. Did it sell well on all platforms? Whatever happens, just don't mess it up Capcom. Revelations is on the right path for a spin off franchise. I don't think Revelations sold well on the Nintendo platforms so I can't see them trying a second time, unless Nintendo buys up Capcom... Hopefully it will happen before the end of the Wii U. If i had to decide i'd prefer a Wii U version tbh. The 3DS game was great, but big screen all the way for this. @FullbringIchigo if you jinx it, I'm coming for you! I'm not sure how the Wii U version did, but Capcom was happy with the 3DS sales of Revelations. Would be a shame if it does not come to 3DS. Why does Microsoft always has to pay Third party publishers to make it exclusive to them -__-. I'm OK with it as long as it's a completely new game but if it's a franchise, or was first announced as a multi-plats game ... then love them. Both Microsoft and dat 3rd party company. One of the reason why I hate Square Enix. I hope Nintendo crush Microsoft and Sony all over again like they did last-gen. I would love Resident Evil Revelations II for Wii U! Please announce this already so that I can pre-order!!! The first was my favorite since Resident Evil 2. I'd buy it on both Wii U and 3DS if Capcom decide to release it (though I'd doubt it at this point ). If Capcom is in as deep sh*t as everybody says then they probably need help with funding bigger projects (like MS helped with Dead Rising 3). If that's the case, I don't care which of the big 3 funds the project as long as Resident Evil Revelations 2 turns out to be legit because I loved the first and would love a sequel. But if MS is funding it and it turns out to be 360 but not Xbox One that will be an incredibly infuriating decision. The 360 has a huge userbase so fine, put it on that and I have a 360, I could buy it, but it would seem utterly pointless to leave out the new console. I just have a feeling Nintendo consoles won't get this...even for the 3DS... That's a shame too, as Revelations was one of my favorite 3DS games. Been a loyal capcom fan for ages, this better come to 3DS or Wii U or you will lose my support and Considering the first revelations sold the best on 3DS this should be your priority platform. Of course it is, MS is on a money spending rampage again, buying every exclusive deal they can get to sell their console. And capcom is probably already collecting returnable bottles in the park to pay their loans, they need every coin they can get. I bet thats not entirely what fans have waited for. I want it, I would like it on Wii U though and not my PS3. If RE: Revelations 2 is true, I would buy it!!!! No matter which system it's on!! Uh oh! @Damo is going to be pissed that you stole his "posting an article about a game not coming to the Wii U" shtick! I don't get it. Assets? Like an environment from Revelations or something? I doubt it'll be coming to either console. Outside of Mega Man which is pretty much Nintendo focused anyway, Capcom seem to pretty much avoid Nintendo platforms as of recently (even the next Street Fighter is not coming to Nintendo platforms). @MrV4ltor As trustworthy as leaks from Russian retailers are, I'll wait for an official announcement. You owe us this Capcom. It took a 3DS game to realize you did better with that then RE6, so you owe Wii U/3DS a port! Well, it could just be a timed exclusive with Microsoft. I was really considering an Xbox one or PS4 the last month but got scared off. Paying for online access is ridiculous. And that EA Access deal really freaked me out. If it works, I could see Microsoft and EA only allowing you to play games with that type of account. And what would stop Capcom, Ubisoft, etc to follow that route? I think I'll stand pat with my Wii U.
I'd love to see a sequel of this game. I would prefer to play it on WiiU, but I'd play it on 3DS again. Unfortunately, considering that the HD Remaster of the GameCube Resident Evil remake is coming to everything but the Wii U I certainly doubt that a sequel to Revelations will ever grace a Nintendo platform. I hope I'm wrong because Revelations on my 3DS was amazing, but just looking at Capcom's recent history I wouldn't get my hopes up. The horror survival genre is far from my favorite genre, but it would be sad to see this skip Wii U/3DS since this spin-off started on Nintendo. Wii U needs to be able to hit all those niche genres to be a complete product. At least fans of the genre have Fatal Frame to look forward to, and the first entry in the series to play. Loved it on the 3ds. I thought it sold best on the 3ds too. RE4 was one of my favourite games on Wii. The pointer controls were great and I got hooked on Wii shooters. If they had added pointer controls to Revelations I would have bought it day one. As it is, if they don't add pointer controls to Resident Evil Revelations 2 it's a non starter. I hate aiming with the thumb stick. I doubt this will come to Wii U. Why would it get a new RE game when it isn't getting a port of a game that was on the last two Nintendo home consoles? How is this a betrayal? Nintendo didn't revive RE. And honestly after all capcom has done for Nintendo since the NES days, Capcom doesn't owe Nintendo a blessed thing. Note that the assets actually hinted at the game being on Xbox 360, not Xbox One. Meaning if this is timed exclusive, it's a waste of time on MS's part. Anyways, there is no chance this will hit Wii U. 3DS on the other hand, we'll have to wait and see. Well, Capcom clearly has trouble with RE directing. Turning RE into an action series, for example, and not bringing REmake to Nintendo systems (while I'm certain it would work wonderful, especially on 3DS, and REmake was after all on Nintendo systems to begin with). But making a 'Revelations 2', and not bringing it at least to 3DS, would be a downright disaster. I have both the 3DS and the Wii U version of Revelations, and sunk -no pun intended- about 200 hours in both games combined, the majority spent on the handheld original. Lets not beat around the bush, it IS the best looking game on the 3DS by quite a way. Here is what does not make sense. Using the only data publically available (VGChartz*), the the 3DS version of Revelations sold 780k, almost as much as the PS3 (570k), X360 (190k), and WiiU (90k) versions combined (that totals 830k). Plus, going MS only makes absolutely no sense from a home market standpoint. 3DS sold 300k in Japan, more than PS# (200K), WiiU (30k) and X360 (20k) combined. *I am well aware of the problems with VGChartz data. But it is the only publicly-available dataset for game sales. And with time, as companies release their numbers, the LTD numbers tend to become more accurate (because they are corrected). Please Capcom, PLEASE bring this to the Wii U! Or at least 3DS! I really enjoyed Revelations on both 3DS AND Wii U and I really want to play this one too! No 3ds? No deal. Loved it on that system. 100%'ed the game in fact. I understand them skipping a Wii U version, since the first one only sold 12k in the US. But I don't really see why they aren't doing a 3DS version. The game sold best on there and the user base is even bigger now. It's probably too hard to make the game for 3DS, as they would probably need a seperate development team for it. Great game on 3DS, pretty mediocre on home consoles. It's really best suited for 3DS, so that's where the sequel should be, and sold best too. @Mega719 Come on now. Lets not forget the almighty Monster Hunter is made by Capcom....and is exclusive to Nintendo platforms too emkay? This is just business. Nothing personal. Unless you're talking about EA, those guys are still mad apparently. @mike_intv Well if Microsoft funds the project, it doesn't really matter any more does it? @Mega719 Honestly I don't know what's Ubisoft's deal. I never remember anything going wrong between Nintendo and Ubisoft but their recent actions simply bears hostility towards Nintendo. I mean seriously, delaying Rayman Legends (which was supposed to be an exclusive) so that they can release it on other platforms, delaying Watch_Dogs for god knows how long, sitting on a finished game and giving Wii U owners a middle finger by saying all we play are family titles. the worst part? Nintendo don't give two shiets about it and just continue to let it happen. 3DS was the definitive version for RE:R the other versions felt clunky to me. If this game does not come to the wiiu or even the 3ds.I'm done capcom,cause if they don't release this game to the 3ds that was profitable and now that the 3ds install base is now huge, they would be insane not to release a port to the handheld. @Hy8ogen they used to be my favorite 3rd party but this is a new low for them which wouldn't be forgivable if they continue this with their other non mature games. It was admitted this week that Street Fighter would come to every console except Wii U and Co founder of Sledgehammer finally revealed that COD Advanced Warfare isn't coming to Wii U because of "Activision's Decision "
Well guys, what do you say? I want this game and I have a Steam account and a 3DS XL. Would be better to buy this on which of them? Taking into consideration the game and it's aspects, bonus and performance (gameplay) on both systems and not the price. Resident Evil: Revelations for the 3DS was awesome... I'd like a second to come out for the 3DS. Revelations was a total mixed bag, but...The more Resident Evil, the butter! i mean better. It's funny though, Capcom always talks about rebooting the franchise but they just can't seem to do it. Also, if it's not coming to the Wii U, then no it's no dice for this little Mullet 'n mega'd Puppeteer. The direction as of late for RE as a whole, in regards to 5, Revelations and 6 has been sour. Normally i'd be really excited, i mean c'mon...It's a NEW resident evil game. But the fact that i couldn't even bare to play more than 30 minutes of RE6 shows that my lust for the series that was once obsessive has been decaying like a wet zombie sandwich. I want survival horror, take the series back to it's roots. Enough with this mindless puzzle lacking, ammo riddled action packed interactive movie gun blasting bogus bananza. I'm with ya dude. Once you experience pointer controls for aiming(be it the first or 3rd person genre ect ect) you CANNOT go back to a clunky, robotic, stiff, unimmersive and unintuitive thumb stick, at least i can't. If by some miracle the Wii U gets Revelations 2 it will be highly unlikely that it will get pointer support. Capcom is a failure these days at seeing the potential of motion controls. I'm passing on Revelations for the Wii U since there's no pointer support. I already finished it on the 3DS a year prior to that anyways. @LawRulesALL The 3ds version in my opinion.Cause it's portable the controls are perfect, the game sounds and looks absolutely amazing on the 3ds.And it shows how powerful the 3ds is.And it has raid mode that you can play with someone online. Once again, you're doing this so you can post the inevitable "not coming to Nintendo systems" follow-up article. Seriously, yes, it's a slap in the face to those of us who bought the first one on a Nintendo system, but you're whining to the world about it. Yes, your opinion matters, and that's why it's important you DON'T use it to keep spreading unnecessary negativity. Are you going to post that the next "Infamous" isn't coming to Wii U? or how about the next Uncharted? Probably not, so why keep doing this? Time to crack open the Mountain Dew. Resident Evil: 'revelations' originally debuted on the 'nintendo' 3DS. Lets not forget.....Resident Evil 4, RE2(N64), Remake, Zero, RE4: Wii Edition, RE: Umbrella Chronicles, RE: Darkside Chronicles, RE: Gaiden(GB), RE DS, the playstation ports and RE: Revelations: U Edition. Yup, it's fair to say that capcom has released plenty of resident evil games on Nintendo platforms, which gives Thomas every reason to whine, moan and complain. I would love for this to be on the 3DS. Skipping the Wii U is understandable, despite its ideal controller the sales would make it financially unviable. Regardless, give me some actual horror, I've been waiting for a good RE on my Xbox besides what I have on my 3DS. I really enjoyed playing a Revelations on 3DS, I wish there were more games like that for the system. If it comes to 3DS then great, but I have no problem getting this on a Xbox system. Bah we all know we wont have squat. @midnafanboy Have been seeing video comparisons between the HD port and the original 3DS game. The graphics isn't the issue, 'cause from what I've seen the portable does really well. But the Raid Mode isn't present in the ports too? And improved upon for what matters? Also, 3D is compelling and atractive enough to go for it instead of the HD ? If this DOESN'T come to the 3DS or Wii U, I'm not buying a separate console for it this generation or next. I'm serious, that'd be an actual middle finger. @LawRulesALL The raid mode is in all of the versions, so don't worry about that. But the 3d compelling and attractive enough to not go for the HD version? Now that's a question my answer too that is no,is really not cause the 3ds version is good,when it came out but compared to the HD ports not really.So go for the HD port you won't regret it especially if you're buying it for the PC. RER did strike a nice balance between classic RE and neo-RE. I didn't know it was it's own "series" though, not that that matters that much. I understand why they arnt releasing REsident Evil:REmake for the wiiU, becasuse they already rereleased it on the wii so even though I cant play my old Gamecube games on the wiiu I can still pick up a copy of Resident Evil Archives for the wii and play it. I will be extremely dissapointed if this doesnt come out on the 3DS at least. Even if it isnt the same version as the other systems, they still need to have a sequel considering the Revelations series started there. Im actually surprised that CashCom hasn't released a Revelations and Mercs double pack yet with both 3DS titles on the same cart because we all know how much they like recycling their assets. RE: Revelations was a surprise. I was disappointed with the path the franchise took with the last entries, but this 3DS title was one of the best horror/survival games I played in past 5-10 years. Specially raid mode stuff. Also, it's pretty rare to see a polished game like that running in a portable system. Usually they're bland and cheap ports of a console version, but in this case, I'm glad the 3DS was the "home" of Revelations. Not sure if RE: Revelations 2 will do the same, but I hope we get another high quality product incoming for both Nintendo systems.